Mask Clearer. 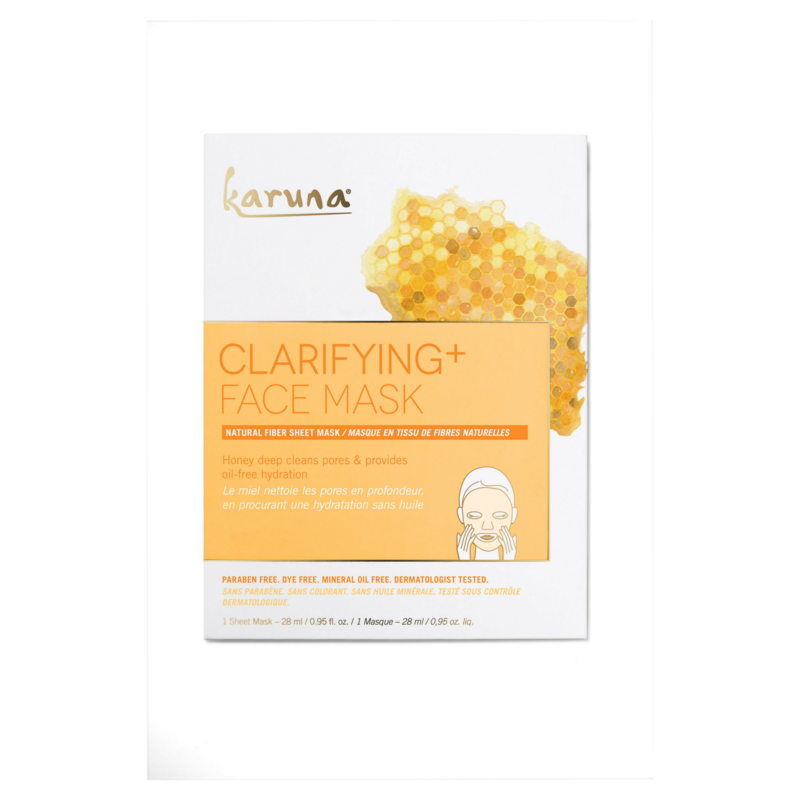 Offer a sense of calm to stressed, irritated skin with Karuna Clarifying+ Face Mask’s exclusive serum featuring of shiso leaf, ginger and honey. INGREDIENTS: Water (Aqua), Chamomilla Recutita (Matricaria) Flower Extract, Arctium Lappa Root Extract, Honey Extract, Aloe Barbadensis Leaf Juice, Glycerin, Butylene Glycol, Propylene Glycol, Glycosyl Trehalose, Niacinamide, Sodium Hyaluronate, Hydrogenated Starch Hydrolysate, Dipotassium Glycyrrhizate, Hydroxyethylcellulose, Salicylic Acid, Acacia Senegal Gum, Allantoin, Isoceteth-20, Palmitoyl Oligopeptide, Palmitoyl Tetrapeptide-7, Polysorbate 20, Nordihydroguaiaretic Acid, Oleanolic Acid, PEG-60 Almond Glycerides, Caprylyl Glycol, Carbomer, Ethylhexylglycerin, Phenoxyethanol, Fragrance (Parfum).